Now, imagine (again) that the type of f field will change from String to something else, let’s say Boolean; the compiler will help you to find the places where the setF method is called with the wrong parameter and also where the getF method do not comply with the new signature. But there is at least one case where the compiler cannot help you; it is the case of the call of java.lang.Object.equals method. So something like “aString”.equals(t.getF()) in the case when the f field is a boolean will always return false because we try to check the equality for incompatible types. The goal of this ticket is to find solutions to catch this kind of problem at runtime or (ideally) at compile time. Anyway, if you want to catch this kind of problem in your code and you do not want to reinvent the wheel (as I will do in this ticket), just use the FindBugs. FindBugs is capable to catch this kind of error (EC_UNRELATED_TYPES) and many, many more (see FindBugs Bug Descriptions). The only way that I see to catch the buggy equals calls in a generic way is to use AOP. The basic idea is to write an aspect that will intercept all the calls to the equals methods and check that the caller and the callee are of the same type. I will try briefly to explain what the previous code is doing; this is not a tutorial about AspectJ or AOP so, some of the definitions will be a little bit approximative, so AOP purists please forgive me. The aspect (which is a Java class annotated with the @Aspect annotation) contains 2 parts; the pointcut (the method annotated with the @Pointcut annotation) and the advice (the method annotated with the @Before annotation). The pointcut represents the parts of program flow that we want to intercept; in our case we want to intercept all the calls to the method having the following signature boolean equals(Object) on any instance of java.lang.Object class and on any subclasses (that’s the meaning of the + from the ..boolean Object+.equals). The target and args are just AspectJ structures that helps to capture the caller and the callee of the equals method. The advice represents the code that will be executed when a poincut is intercepted. In our case we would like to do the verification that the caller and the callee are of the same type before the execution of the equals method (this is the meaning of the @Before annotation). The advice code represented by the executeEqualsAdvice method is quite simple, it just retrieve the caller and the callee objects (already captured by the target and args) and check that are instances of the same class. It would be really nice to be able to catch this problem directly at compile time and eventually (not mandatory) having no other technical dependency. 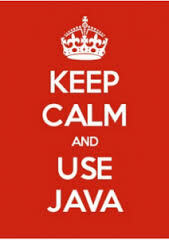 Our salvation is coming from the javac plug-in mechanism which is new in Java8. The javac plug-in mechanism allows to a user to specify one or more plug-ins on the javac command line, to be started soon after the compilation has begun. There is no official tutorial about how to craft and use a javac plug-in, the only information that I’ve found is this Javadoc link and this blog ticket. The javac plug-in mechanism gives access to the abstract syntax tree of the compiled program by implementing the visitor pattern so we will use this mechanism to catch and check the executions of the equals methods. The entire code of the plug-in can be found on this GitHub repository. The most important part of CodePatternTreeVisitor2.java class is the overridden visitMethodInvocation method. I will show you the code but the most important lesson that I learned is that in the code you have to work with trees, everything is a subtype of the Tree interface. System.err.println("Try to call equals on different parameters at line "
+ "; this is a bug!" Set up a file called com.sun.source.util.Plugin located in META-INF/services/ of your plug-in code because the plug-ins is located via java.util.ServiceLoader. The content of the file should contain the name of the plug-in (com.github.adriancitu.equals.com.github.adriancitu.equals.runtime.RuntimeEqualsCheckPlugin in this case). Create a jar with all the plug-in files and the com.sun.source.util.Plugin file. So finally was possible to have a compile time solution, the only drawback that I see for the plug-in solution is that the API is not very user friendly.